For the last few months, my post count is in the decreasing order and I totally feel horrible about not being able to blog frequently. I am currently in India and from the day I landed here, it has been terribly bad with 2 cyclones creating havoc in my city and the death of the CM of Tamilnadu causing shut downs and hence I was not able to do all my pending work. The cyclone Vardah left behind a devastated city and it took 4 days for the power and internet to be restored. Nature is kind of playing against Chennai every December and there is nothing that we can do about it. Now, my ramblings aside, I have interesting updates coming up in life and will keep you posted on that in the coming weeks. My husband and I went on a shopping spree in Chennai because we were tired of buying just white & black coloured simple clothes back there in Singapore and I got excited seeing colourful garments. 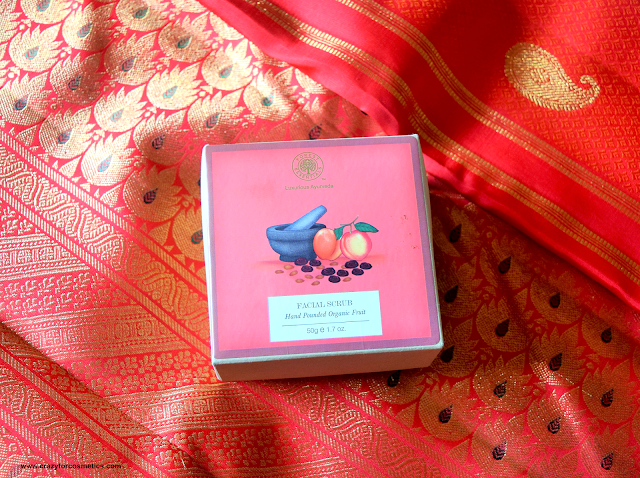 I also got to try some skincare stuff from Kama Ayurveda and Forest Essentials because I basically love sniffing their showrooms and of course you cannot come out without buying anything. 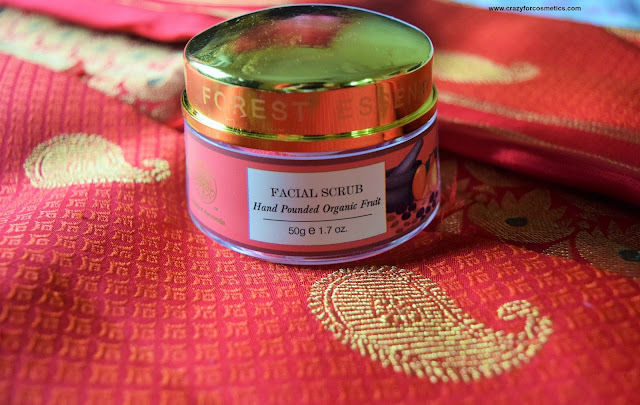 These ingredients are fermented in terracotta jars buried under the ground for many months and then blended with herb, root and flower infusions to create a highly nourishing and deep cleansing scrub. Use a small amount on damp skin and massage onto the face to deep cleanse the skin. 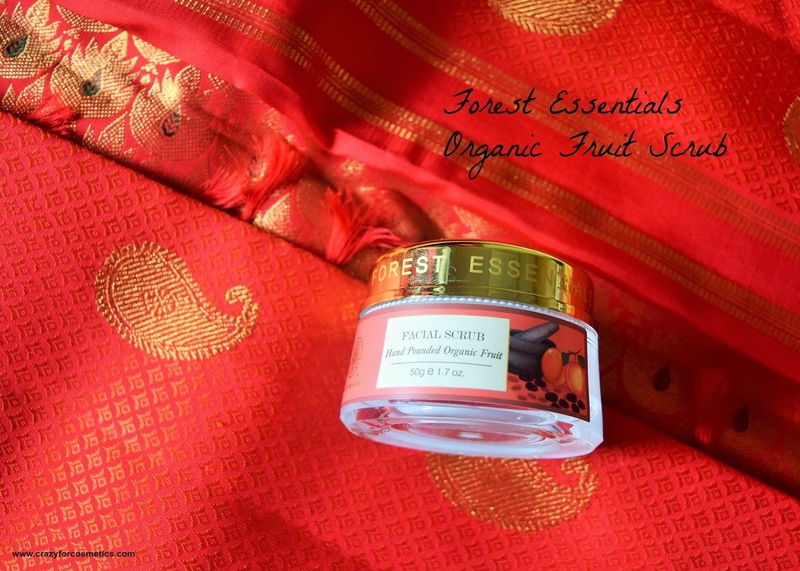 The fruit scrub comes in a bulky jar and it smells fresh and fruity. 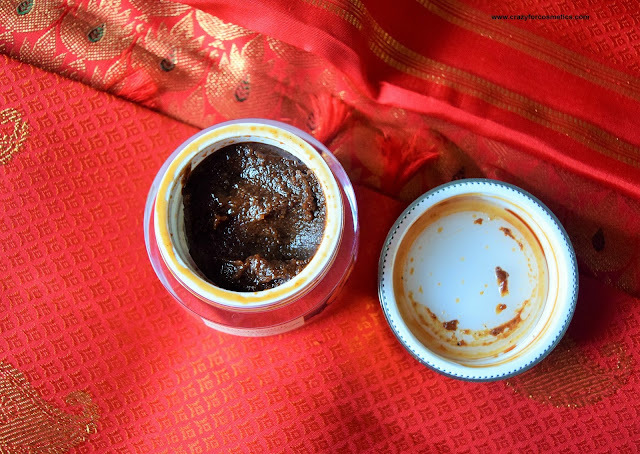 The scrub is in a dark brown colour predominantly smelling like dates and feels great on the skin. 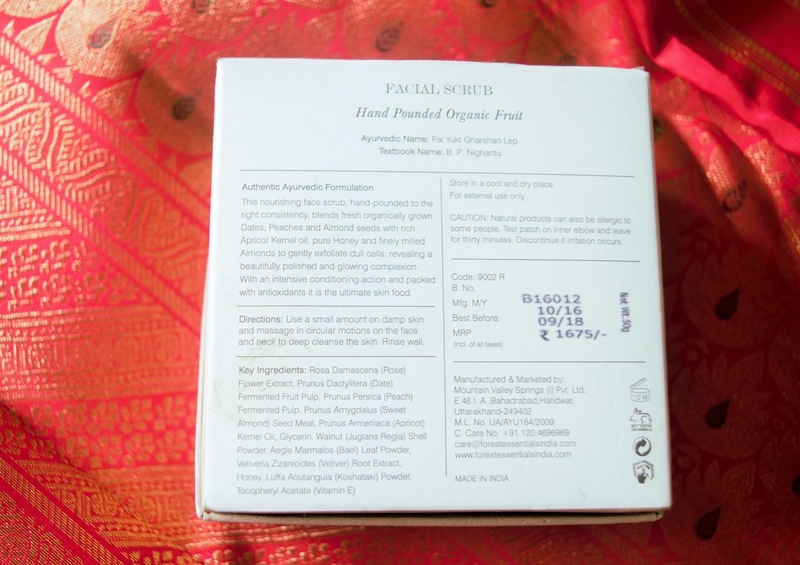 It does feel a bit gritty but it is yet gentle on the skin and makes your skin look amazingly fresh in a single wash. I am in love with this product and I love how it smells. The scrub has a slight tingling sensation on the skin but it does not irritate the skin nor cause any blisters. I would say it is one of the finest scrubs that I have ever tried in my life and I would like to stock up on this for a lifetime just for the quality of this product. I just wet my face with plain water, take a tiny amount of the product and slowly scrub my face using it in circular motions. It can get a bit drying at first and you need to add few drops of water and continue with the scrubbing action. Once it is done, I just wash it off with plain water and it gives a glowing, bright skin post usage. I highly recommend this product for those looking for a natural scrub with a great combination of ingredients that would work wonders on your skin. 2: Works wonders on the skin.